Minister of Transport Dagmawit Moges said that the crew of the Ethiopian Airlines flight from Addis Ababa to Nairobi on 10 March “performed all the procedures repeatedly provided by the manufacturer but were not able to control the aircraft.” As result, investigations have concluded that Boeing should be required to review the so-called manoeuvring characteristics augmentation system on its 737 Max aircraft before the jets are permitted to fly again, she said. Ethiopia is being kind to Boeing. However, though the anti-stall software played a big role in what happened, Boeing’s assertion (hope?!) that a software fix is all that is needed to get the 737MAX’s back in the air around the globe rests on very shaky ground (no pun intended whatsoever). The Seattle Times did an article on March 26 that explains a lot more than all other articles on the topic combined. The paper of course resides in Boeing’s backyard, but can that be the reason we haven’t seen the article quoted all over? If the assertions in the article are correct, it would appear that a software fix is the least of Boeing’s problems. For one thing, it needs to address serious hardware, not software, issues with its planes. For another, the company better hire a thousand of the world’s best lawyers for all the lawsuits that will be filed against it. Its cost-cutting endeavors may well be responsible for killing a combined 346 people in the October 29 Lion Air crash and the Ethiopian Airlines one. Get a class-action suit filed in the US and Boeing could be fighting for survival. Boeing has long embraced the power of redundancy to protect its jets and their passengers from a range of potential disruptions, from electrical faults to lightning strikes. The company typically uses two or even three separate components as fail-safes for crucial tasks to reduce the possibility of a disastrous failure. Its most advanced planes, for instance, have three flight computers that function independently, with each computer containing three different processors manufactured by different companies. 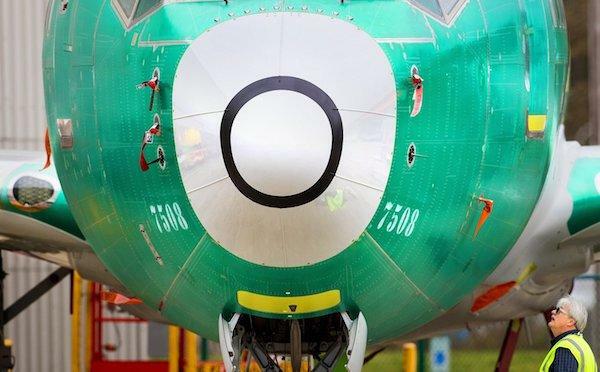 So even some of the people who have worked on Boeing’s new 737 MAX airplane were baffled to learn that the company had designed an automated safety system that abandoned the principles of component redundancy, ultimately entrusting the automated decision-making to just one sensor — a type of sensor that was known to fail. That one paragraph alone is so potentially damaging it’s hard to fathom why everyone’s still discussing a software glitch. Boeing’s rival, Airbus, has typically depended on three such sensors. “A single point of failure is an absolute no-no,” said one former Boeing engineer who worked on the MAX, who requested anonymity to speak frankly about the program in an interview with The Seattle Times. “That is just a huge system engineering oversight. To just have missed it, I can’t imagine how.” Boeing’s design made the flight crew the fail-safe backup to the safety system known as the Maneuvering Characteristics Augmentation System, or MCAS. The Times has interviewed eight people in recent days who were involved in developing the MAX, which remains grounded around the globe in the wake of two crashes that killed a total of 346 people. The Maneuvering Characteristics Augmentation System (MCAS) was already a late addition that Boeing had not planned for initially. They wanted a plane that was so like older ones that no training would be needed, but did put a much heavier engine in it, which was why MCAS was needed. As I wrote earlier today, they cut corners until there was no corner left. On hardware, on software, on pilot training (simulator), everything was done to be cheaper than Airbus. 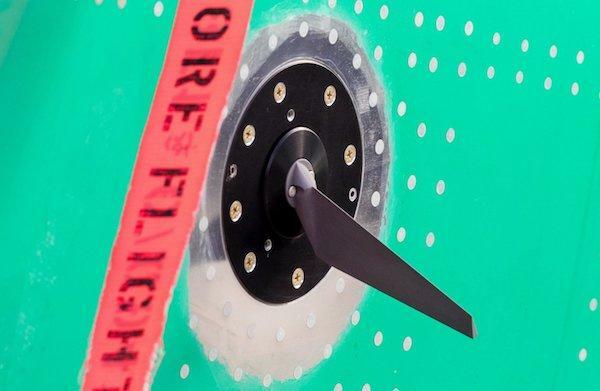 Boeing has been working to rejigger its MAX software in recent months, and that includes a plan to have MCAS consider input from both of the plane’s angle-of-attack sensors, according to officials familiar with the new design. “Our proposed software update incorporates additional limits and safeguards to the system and reduces crew workload,” Boeing said in a statement. But one problem with two-point redundancies is that if one sensor goes haywire, the plane may not be able to automatically determine which of the two readings is correct, so Boeing has indicated that the MCAS safety system will not function when the sensors record substantial disagreement. The underlying idea is so basic and simple it hurts: safety come in groups of three: three flight computers that function independently, with each computer containing three different processors manufactured by different companies, and three sensors. The logic behind this is so overwhelming it’s hard to see how anyone but a sociopathic accountant can even ponder ditching it. See? It’s not a software issue. It’s hardware, and in all likelihood not just computer hardware either. [..] Boeing had been exploring the construction of an all-new airplane earlier this decade. But after American Airlines began discussing orders for a new plane from Airbus in 2011, Boeing abruptly changed course, settling on the faster alternative of modifying its popular 737 into a new MAX model. Rick Ludtke, a former Boeing engineer who worked on designing the interfaces on the MAX’s flight deck, said managers mandated that any differences from the previous 737 had to be small enough that they wouldn’t trigger the need for pilots to undergo new simulator training. That left the team working on an old architecture and layers of different design philosophies that had piled on over the years, all to serve an international pilot community that was increasingly expecting automation. “It’s become such a kludge, that we started to speculate and wonder whether it was safe to do the MAX,” Ludtke said. Ludtke didn’t work directly on the MCAS, but he worked with those who did. He said that if the group had built the MCAS in a way that would depend on two sensors, and would shut the system off if one fails, he thinks the company would have needed to install an alert in the cockpit to make the pilots aware that the safety system was off. There you go: A two-sensor system is fundamentally unsound, and it’s therefore bonkers to even discuss, let alone contemplate it. Aviation Space week and Technology has reported, to industry insiders since the mid 1980s, that there existed an industry wide installation of FTS systems-made by Honeywell-called FLY BY WIRE-into all commercial jets. Once activated, it takes over the flight and there is nothing anyone onboard can do about it. A preliminary report on the circumstances that caused flight ET302 to plunge out of the sky just minutes after takeoff was completed earlier this week, and some of the details have leaked to Reuters and the Wall Street Journal. And for Boeing shareholders, the findings don’t seem to matter to stock prices, in this world of bad news means good prices insanity. Contradicting Boeing’s lies that procedures for deactivating its MCAS anti-stall software were widely disseminated, and that pilots at airlines around the world had been trained on these procedures, WSJ reported that the pilots of ET302 successfully switched off MCAS as they struggled to right the plane after the software had automatically tipped its nose down. As they struggled to right the plane, the pilots ended up reactivating the software, while trying a few other steps from their training, before the plane began its final plunge toward a field outside Addis Ababa, where the ensuing crash killed all 157 people on board. This was all that was left, the MCAS kept coming back ON forcing the plane into the ground, FOUR times, after flight crew kept turning the death box off, report confirms. Though the pilots deviated from Boeing’s emergency checklist as they tried to right the plane, investigators surmised that they gave up on the procedures after following them failed to right the plane. But when MCAS reengaged, all by itself, it pushed the nose of the plane lower once again. 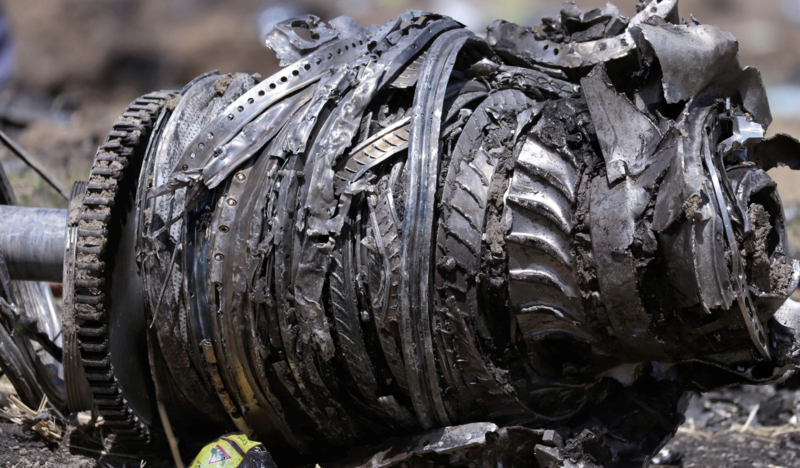 The pilots on Ethiopian Airlines Flight 302 initially reacted to the emergency by shutting off power to electric motors driven by the automated system, these people said, but then MCAS re-engaged the system to cope with a persistent steep nose-down angle. It wasn’t immediately clear why the pilots couldn’t take control of the plane, but government and industry officials said the likely reason would have been because manual controls to raise the nose didn’t achieve the desired results. No surprise, given that FTS was obviously activated once the plane hit V1. Reuters, which was also the recipient of leaks from investigators, offered a slightly different version of events. It reported that MCAS was reengaged four times as pilots scrambled to right the plane, and that investigators were looking into the possibility that the software reengaged without prompting from the pilots. In short, the plane was determined, no matter what the pilots did, to fly at speed into the ground after take off. A clear case of Flight Termination Systems activation. After the Lion Air crash that killed 189 people back in October, Boeing and the FAA published a bulletin reminding pilots to follow the emergency procedures to deactivate the software if a faulty sensor – like the one that is believed to have contributed to the Lion Air crash – feeds erroneous data to the system. However, no evidence of a faulty sensor was to be found. The data show the pilots maneuvered the plane back upward twice before deactivating the software. But between the two reports, one detail is made abundantly clear. The software’s reengagement is what doomed everybody aboard. That is an unequivocally bad look for Boeing, which has been deflecting questions about the software’s bugs, and gaps in the dissemination of its training materials, while working on an update that the company says will make the software less reliant on automated systems. The net result is, no matter what the pilots did, this plane was doing the exact opposite, sending it nose down right into the ground at HIGH SPEED. Go figure, Boeing stock is UP $40.00 a share this week. Satanists love a good kill. Her and they, are satanists. Pushing a satanic agenda. Case in point: Al Gore distributed his documentary An Inconvenient Truth to the American public in 2006. In that film, Gore argued that the world come to an end in ten years due to global warming from the release of that film. However, that was thirteen years ago, and we now find ourselves in the year 2019 and the global warming apocalypse has not yet taken place. 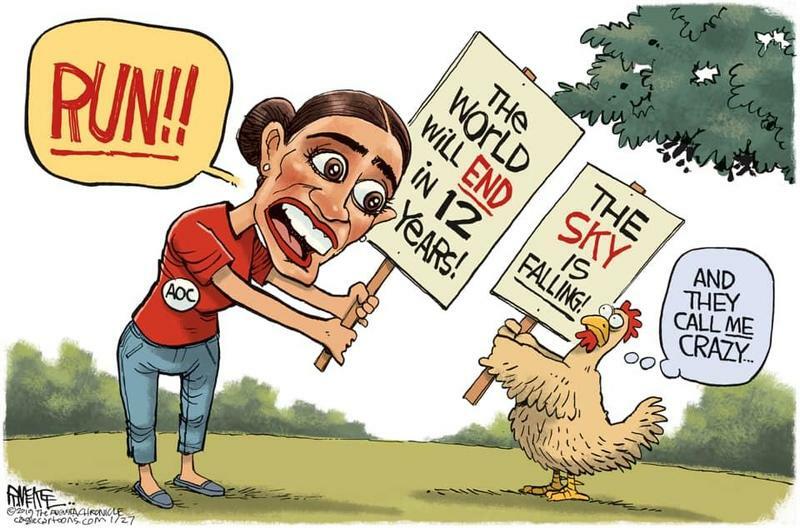 Similarly, progressive over actress Rep. Alexandria Ocasio-Cortez (D-N.Y.) said recently that she thinks that there is an urgency needed in addressing man-made climate change, warning that it will “destroy the planet” in a dozen years if humans do not address the issue, no matter the cost. 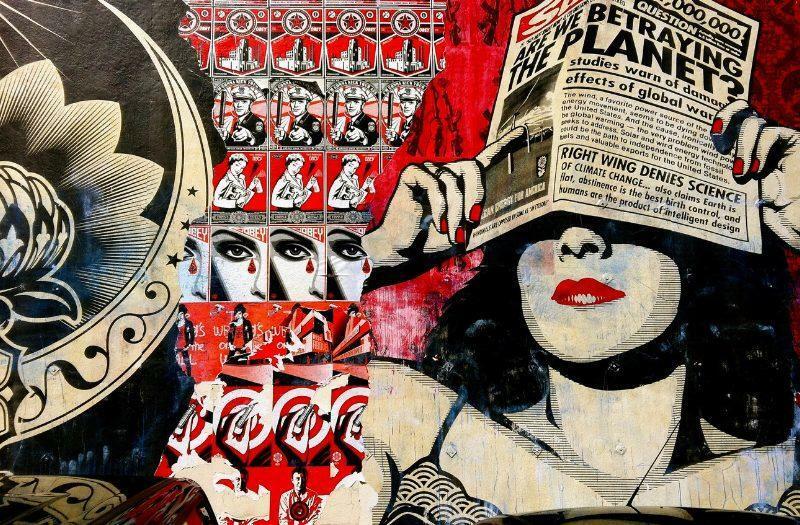 The fever pitched alarmism over global warming seen in the contemporary progressive circles appears to be a form of “secular satanic apocalypticism,” that foretells that the eminent destruction of the earth is just right around the corner. The fact that satanists are pushing climate change, should all you need to know about what a load of shite this all is. Climate change is about taking away your freedoms, making you slaves, so these nasty skanks can rule over you with an iron boot. Just when we thought the ongoing Brexit drama couldn’t get any more undignified, a troupe of naked witches screaming about serving satan,have materialized in the Commons gallery to demand MPs act at once to fight climate change. In front of children. Little children. Give me a break. Or a breakfast. Agenda 21/2030, which their fascist freaks created to snowball us into this. Anyone who pushes this agenda is working for satan. So…what are you going to do about it? Nothing? As usual? Color me unsuprised. See the image above. It’s an owl. Which the satanists use as a symbol for MOLECH AND BAAL worship. This links to Lilith, their lesbian patron saint, and child sacrifice, which all witches are very BIG on. Well, Ojai is getting one. And with the thousands of lesbians that have descended upon our town, it will surely be filled with dykes of all kinds. Count on it. Ojai has a NO CORPORATE enterprise law, that’s been on the books since the 1950s. So, how did this satanic organization get in here? We all know the answer – our local government is wholly satanic in this town. And Ojai slides further into the abyss. Ironically, the fascist feminists have made Hooters one of their NUMBER ONE targets as a symbol of male patriarchy, exploitation of women, etc. But they don’t anymore, because as anyone in a major metro or resort town can tell you, the main patronage is LESBIANS, not men. As I will report and photograph when they get this thing going here. Don’t you love the hypocrisy of it all? Russia doesn’t buy US GMO infected Frankenstein wheat. In fact, Russia has become the world’s largest exporter of wheat! And by the way, Russia’s economy is set to pass Germany’s as the 5th largest economy in the world. Open racism AGAINST WHITE PEOPLE, WHO MAKE 86% OF THIS COUNTRY. If the sign said, no black people, this mayoral candidate would by lynched by sunset today. 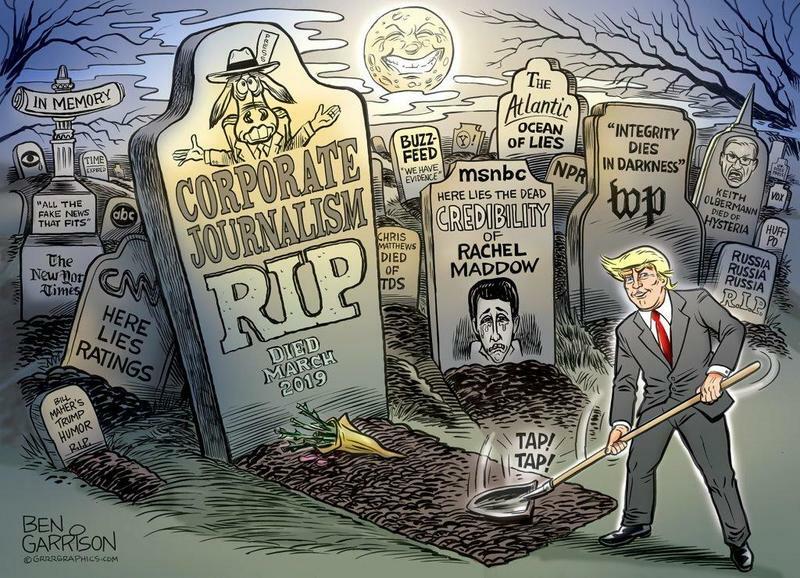 “No media (T.V. Radio, etc.) 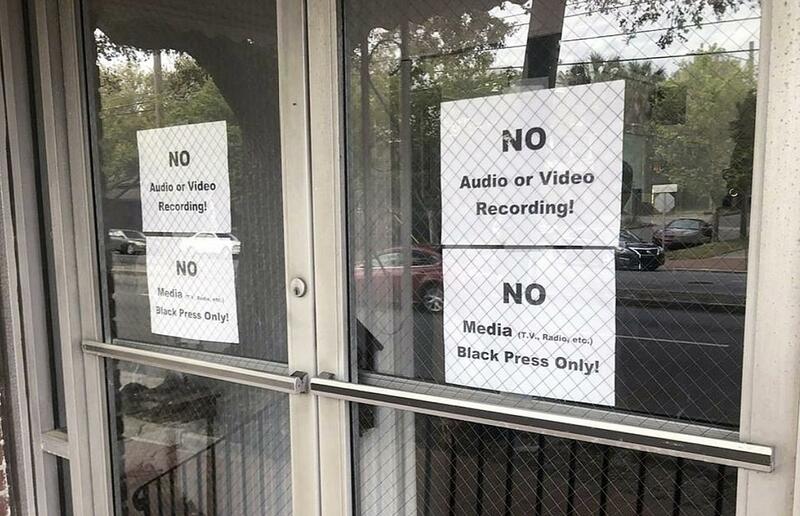 Black Press Only!” read a sign posted on the door of Bolton Street Baptist Church, the Savannah Morning News reported. White reporters were denied entry to a meeting to discuss an upcoming mayoral race in Georgia, while black reporters for at least two television stations and the publisher of the black-owned Savannah Tribune newspaper were allowed into the meeting. Reporters who got inside were prohibited from taking photos, video or audio recording, according to Stephen Moody, an African-American reporter with WJCL who attended the event. AP reports that Mayor Eddie DeLoach is seeking re-election this fall. He became Savannah’s first white mayor in 20 years after winning the 2015 campaign. Elections for Savannah’s top office are nonpartisan, meaning all candidates who qualify end up on the November ballot. And of course, this is allowed. That’s how far into the pit of hell this country has slid into. 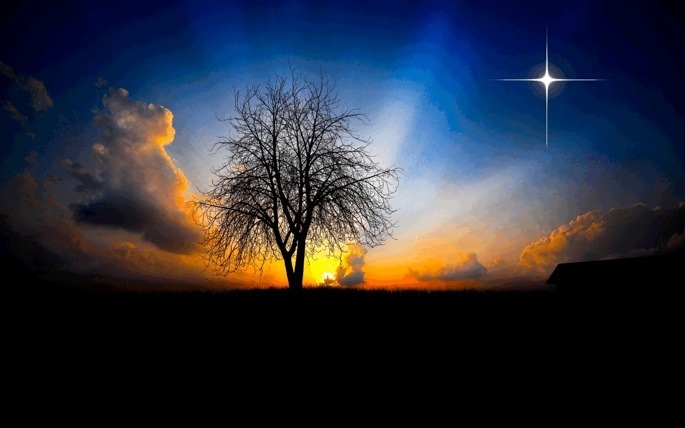 For they seek after freedom and the truth, and are a Holy Peoples.